Church supper will be February 13 at 5:45. There is a sign-up sheet available in your Sunday School Classes and on the bulletin board in the fellowship hall. We will hold church conference immediately following. The Pregnancy Center will have their bi-annual volunteer training February 28 -March 2, 2013. If you are interested in volunteering with them or need more information, please call 226-0510. 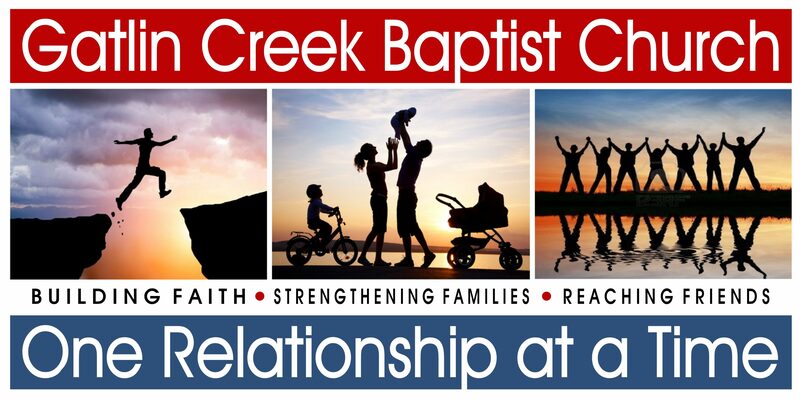 The new church e-mail address is gcbc@gcbaptist.com. If anyone is interested in one on one spiritual discipleship, please let Bro. Mitch know or contact the church office. A Call to Joy and A Call to Growth are Bible Studies designed to encourage spiritual growth and build/strengthen the bond of spiritual friendship. Mitch is looking for men and women who are willing to disciple as well as those who are interested in being discipled. February is “Love Our Youth” Month. Sunday, February 10 will be a Valentine’s Youth Bake Sale. All proceeds go to help cover the cost of MFuge. Thank you to everyone who helped make DNow 2013 a success! If you would like to see what we are doing in Children’s Worship, please feel free to join us at 10:20 each Sunday in the youth room. The theme for February is Peace when life gets messy. The Associational Brotherhood meeting will be February 5th at Pineland Baptist Church. February 21, the Men’s Fellowship and Women’s Ministry will have a joint meeting. Please invite your friends and make every effort to join us for this time of fellowship. Audio and video from Sunday’s services will be added as soon as they’re available.